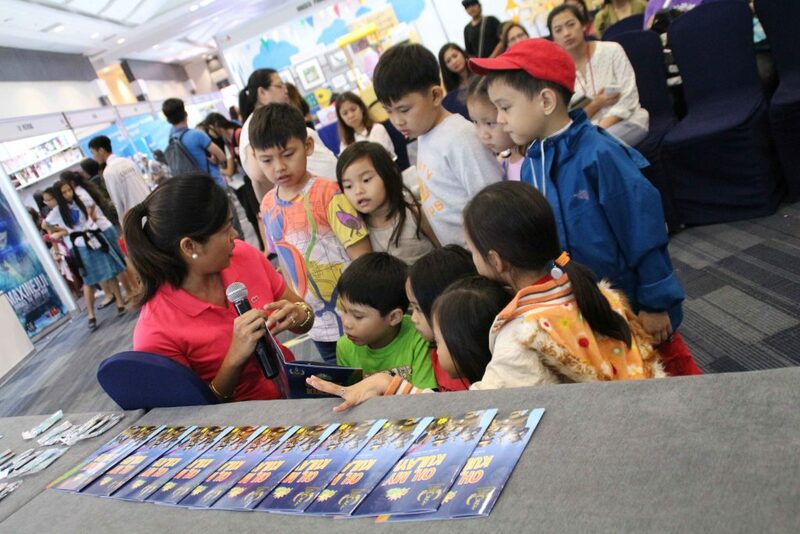 Superbook and Oyayi joined the 38th Manila International Book Fair (MIBF) on September 13-17 at the SMX Convention Center, MOA, Pasay City. It was a week-long celebration for all the book lovers in the Metro as different bookstores and publishing companies also joined the event. 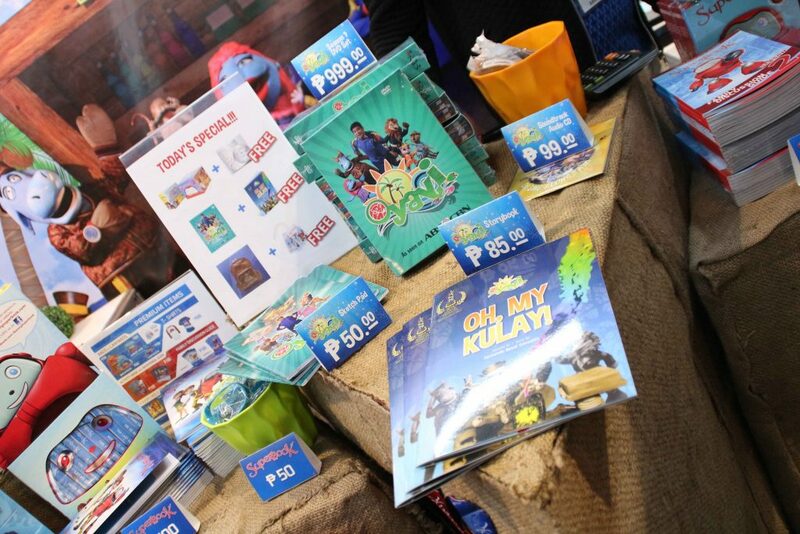 In partnership with the Philippine Bible Society (PBS), an Oyayi sari-sari store was set up in one side of the PBS booth, showcasing products from Superbook andOyayi. Gizmo of Superbook and Kuya Maki and Tama Raw of Oyayi had close encounters with the audience on the opening day, joining the people in their photo opts. 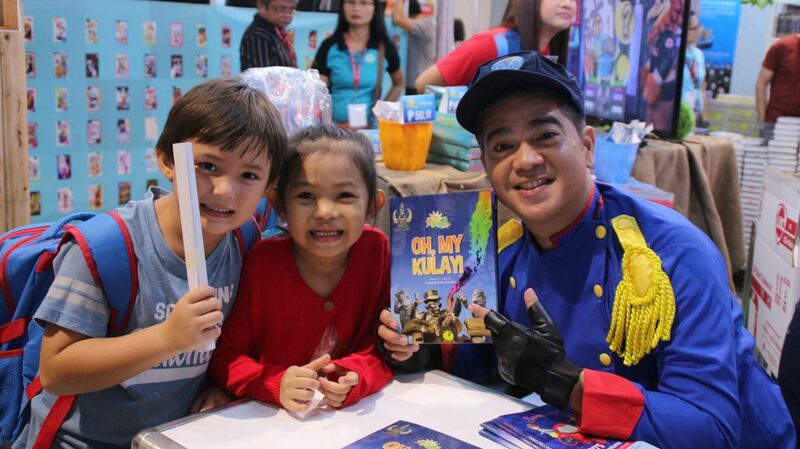 Kuya Maki and the other Oyayi characters also gave autographs to those who got their copies of the DVD set and the 1st Oyayi book, titled Oh My Kulay. Surprises and exciting activities did not end on the 1st day. Miriam Quiambao-Roberto and Precious Lara Quigaman-Alcaraz read Oh My Kulay to the children, who actively participated, on the 2nd and 3rd day, September 14 and 15. The booth was visited by bookworms up to the last day of the book fair, where Gizmo and Haribon met them. If you missed the 38th MIBF, Superbook and Oyayi merchandises are still available for you. Just visit the Philippine Bible Society (PBS), Philippine Christian Book Store (PCBS), House of Praise and OMF stores. You can also visit Batang Superbook online.